Size: 5.2" x 7.5" x 1.00"
A lot of LED-calculators used the TMS0972 calculator chip invented for the TI-1200. 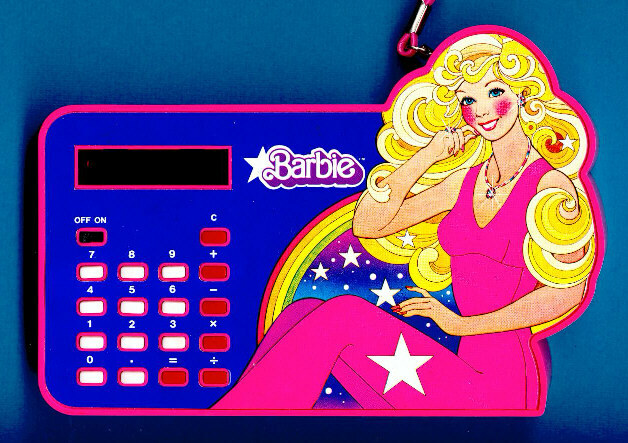 The cutest ever was this Barbie calculator marketed by Concept 2000. This Barbie calculator was donated by Patti Willis. Thank you ! Barbie™ is a trademark of Mattel, Inc.